Many people are only now learning about Nature’s “miracle molecule” Fulvic Acid. So, there is still some confusion as to what to look for in a Fulvic Acid Supplement. Fulvic Acid is a naturally derived compound that is essential to all life. 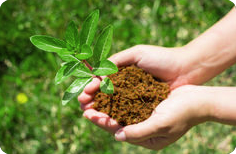 Fulvic Acid enters into all biological processes within plants, animals and humans. From the beginning of time, Fulvic Acid was abundant in naturally grown plants, fruits and vegetables. So there was not a need for Fulvic Acid supplements. It’s presence in food was simply “taken for granted”. Unfortunately, due to today’s over-farming, depleted soils, chemical fertilizers, harmful pesticides, genetic engineering and highly processed foods there is a deficiency of Fulvic Acid, as well as essential minerals, in most American foods. This nutritional deficiency is at the root of many illnesses and diseases. To evaluate Fulvic Acid Supplements, one must first understand how Fulvic Acid works. Fulvic acid is the most minute & most complex naturally occurring water soluble substance on earth. Fulvic acid penetrates the water in the human body to dissolve nutrients & transport them to the body’s cell. Fulvic acid also removes waste products from the body’s cell and neutralizes toxins, bacteria, viruses and other invaders. Fulvic acid contains the minerals that are necessary for the body to function. And these necessary minerals, when chelated by Fulvic Acid, are absorbed by the body’s cells. One single Fulvic Acid molecule is capable of carrying 70 or more minerals and trace elements into every cell! In short, Fulvic Acid in supplement form penetrates and draws in necessary nutrients and feeds the cells – supplying the nutrition missing from food and naturally maintaining healthy body functions and supporting the immune system. Nature’s Fulvic Daily Maintenance Multi-Minerals is 100% organic Humate clay based. Nature’s Fulvic Daily Maintenance Multi-Minerals contain Fulvic Acid and 70 organic plant source minerals . . . providing your body with the nutrition that has been removed from today’s food chain. A Fulvic Acid Supplement should NOT contain: fillers or additives such as sugar, artificial flavors, artificial colors, animal products, or preservatives. A Fulvic Acid Supplement also be free from potential allergens such as: wheat, soy, dairy products, gluten and eggs. Nature’s Fulvic Fulvic Acid Supplements are 100% Humate Clay organic plant source (in vegetable capsules) with absolutely no other additives or preservatives. Fulvic Acid supplements and pills that come from overseas are not subject to the strict manufacturing and FDA labelling requirements that we have in the United States. Buying Fulvic Acid supplements manufactured overseas can be dicey – and even dangerous – in terms of being certain that you are getting. Nature’s Fulvic Supplements are sourced from the pristine slopes of the beautiful Wasatch Mountains in Utah, and manufactured in the United States following strict regulations and FDA labelling requirements. Nature’s Fulvic proprietary supplements contain 100% pure organic Fulvic & Humic Acids, electrolytes, every essential Amino Acid and more than 70 organic plant-source minerals. At Nature’s Fulvic we are dedicated to helping people regain, and maintain, their health by providing the best Fulvic Acid supplements. Nature’s Fulvic is the brand you can trust for Fulvic Acid Supplements! Why Should I Buy Fulvic Acid Supplements? What Are the Benefits of Fulvic Acid Supplements?